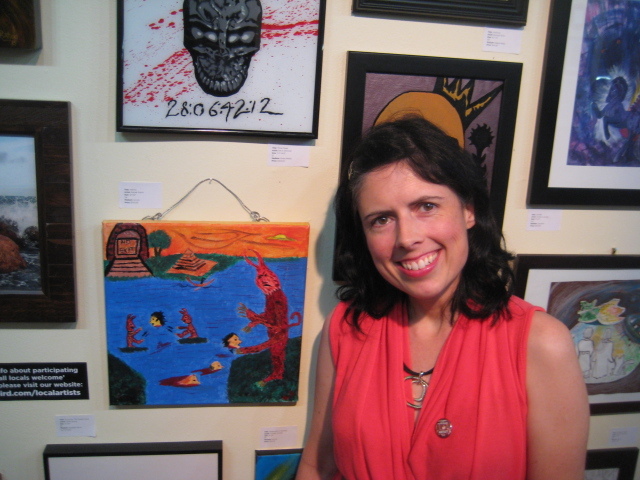 Rachel Galvin’s artwork, titled “Inferno” is displayed at the Bear & Bird Gallery at Tate’s Comics until Nov. 9. The painting went up on Oct. 4 when there was also an artist’s reception, in which Rachel was in attendance. The piece was based on a drawing she did as the illustrator of “Davy Jones & the Heart of Darkness,” written by Dave Montalbano, who also attended the reception. 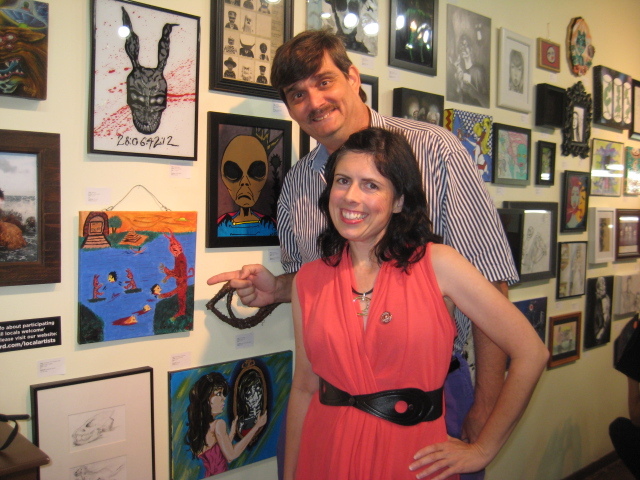 The pair was featured in an artistic blog while there. Rachel already created a new piece, which is completely different, called A Jew of All Seasons, which was created for an art contest. Both pieces were created on canvas with acrylics and pencil. Posted in Art, Gallery. Tagged Bear & Bird Gallery, Cinema Dave, Dave Montalbano, Davy Jones & the Heart of Darkness, Inferno, Rachel Galvin, Tate's Comics.